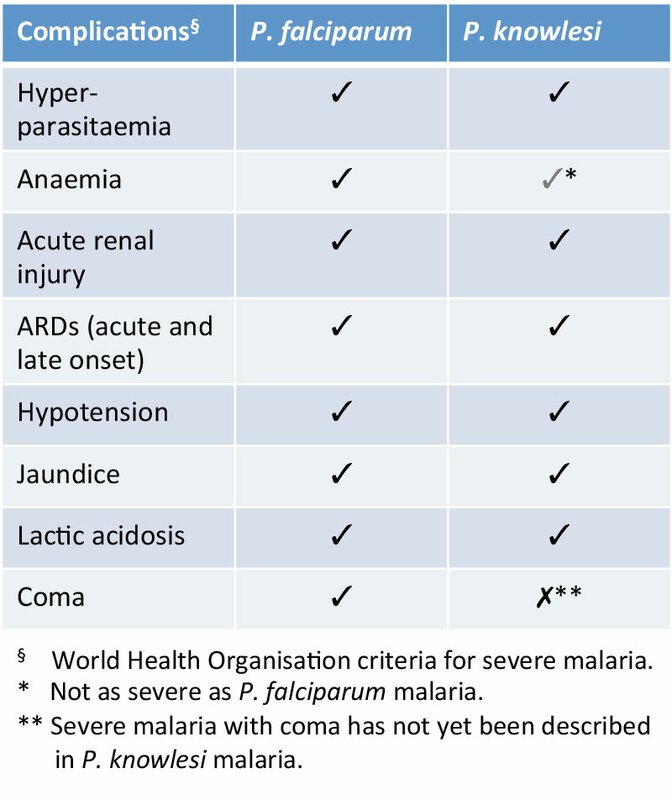 P. knowlesi is a newly described form of potentially severe malaria. Most cases of P. knowlesi are reported in Sabah and Sarawak, Malaysian Borneo where at least 10% of patients develop severe disease and 1-2% of infections are fatal. P. knowlesi malaria is a localized health problem in Southeast Asia while P. falciparum is widespread in the tropics. Nonetheless P. knowlesi and P. falciparum share disease characteristics in that they both can reach very high parasite counts in the human host, can cause acute severe disease and can be fatal. These important similarities between the two can be exploited to a) help understand malaria pathophysiology and b) to develop much needed representative models for translational malaria research.